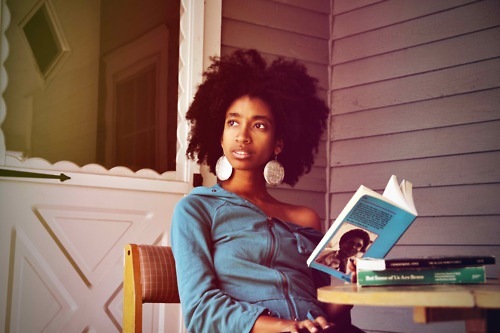 Alexis Pauline Gumbs is a prayer poet priestess with a PhD in English, African and African American Studies and Women and Gender Studies from Duke University and Alexis is the first scholar to research in Audre Lorde’s archival papers (housed at Spelman College in Atlanta, GA) and is the founder of the School of Our Lorde, a nightschool in Durham, NC focused on the work of Audre Lorde. She is published widely in scholarly journals and collections including Signs, Obsidian, Symbiosis, Macommere, The Encyclopedia of LGBTQ Literature and The Routledge Companion to Anglophone Caribbean Literature and has published chapters on Audre Lorde’s work in the collections The Black Imagination, Mothering in Hip Hop Culture and Laboring On: Mothers in the Academy. She is also the author of Such Rainbows, a manuscript under review of poems in conversation with Lorde’s first and last books of poetry. Her poetry appears in several anthologies (including Does Your Mama Know?, Leaving Home Becoming Home, Growing Up Girl and Encounters) and a number of journals including Make/Shift, Everyday Genius ,Turning Wheel, unFold, Vinyl, Kweli, Reverie and Backbone.